Speed limits do not apply to bicycles. Many motorists are publicised in the media complaining that cyclists are too slow and stem the flow or traffic, impeding their progress. However, in “obstructing motorists” we explain that there are no legal grounds for these concerns. Cyclists are not bound by the same speeding laws as their motorised counterparts. They have no legal obligation to adhere to speed limits. Rule 124 of the Highway Code features a table, which states speed limits on a tabulated panel, but there is no column that applies to bicycles. The Road Traffic Regulation Act 1984, whilst imposing speed limit laws for ‘motor vehicles’ is silent on the issue of cyclists' adherence to speed limits. 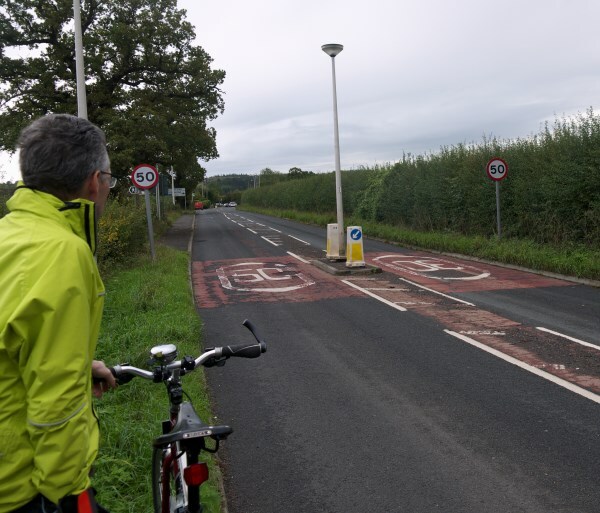 Strictly speaking, cyclists do not have to adhere to speed limits, however, it is best practice to do so in any case. Cyclists who breach the speed limit may not be prosecuted for a speeding offence but they can be prosecuted for “cycling furiously".